It is not just the saying – on wedding day everything has to be perfect. Once in lifetime happening requires careful planning in order to be joyful and fun for both the couple and their guests. Music touches our body, soul and heart, makes us dance, cry or smile. Not every couple gives enough attention to the wedding music and that is why weddings can be quite boring sometimes. When preparing your own big day, clothing, venue and flowers are the key elements to setting the tone. However, professional wedding band is there to help guests relax, to convey your personality and feelings. Also, music gives the final and significant touch to the wedding theme. Pop of Ages is professional wedding band from the United Kingdom offering their amazing service and they promise your wedding day would be really one to remember. 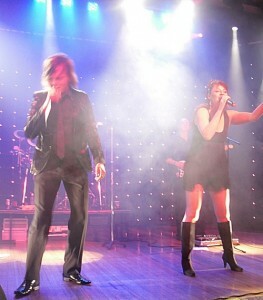 Pop of Ages members are professional and experienced musicians Kirsti and Dave Smith. Pop of Ages are known for their highly entertaining and dynamic performance keeping the dance floor busy all the time. For more information on Pop of Ages band, check out their blog where you can also find articles about how to choose the perfect wedding band for your own needs and what to avoid. Their portfolio is nice and promising and music genres you can expect are rock, pop, funk, electro, disco, soul and even more. On their blog you can read about other bands, not only wedding ones, but for all kind of joyful events and parties. Here you can also read several party reviews and perhaps get some useful tips that could help you manage your wedding music better. Enjoy!